Banrock Station can be found in the Riverland region of South Australia and is a large winery which has a unique restored wetland area with walking trails, boardwalks, and bird hides. Banrock station contributes to environmental projects all around the world and their beautiful wetland on the Murray River shows their commitment to conservation. 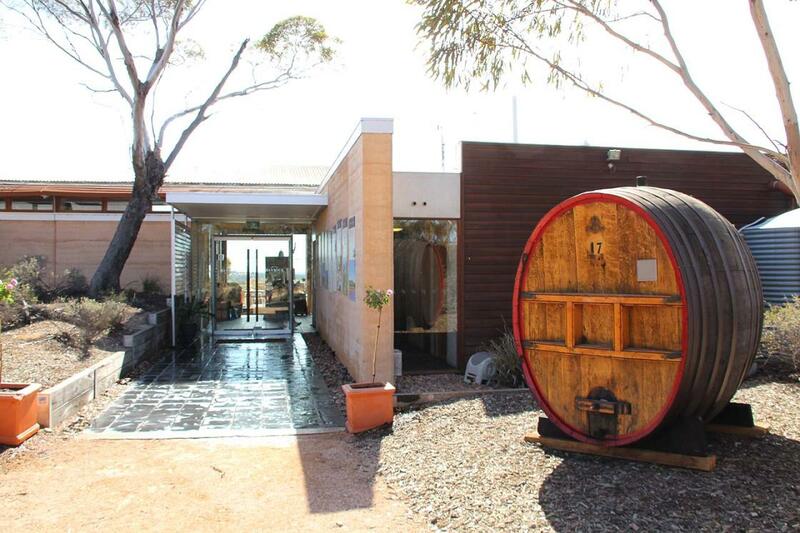 Banrock Station is about two and a half hours drive from Adelaide and 40 minutes form Renmark and occupies about 1800 hectares with a floodplain and wetland lagoon, protected mallee scrub and large vineyard. We were staying in Renmark and left early one morning to visit Banrock Wine and Wetland Centre in order to explore the walking trails before the weather became too hot. Our visit was during December and we had been warned that the walking trails close during very hot days. There are several walks and we were able to go on the Boardwalk Experience - about 4.5 kilometres return, incorporating the Mallee to Valley Trail. The longer walk (Wetland Circuit Walk – 8 kilometre) had already closed due to the hot forecast. There are several information huts along the track and bird hides built on the edge of the water - large number of black swans inhabit this area. A long boardwalk has been built over the water and you walk through large areas of reeds where a bird hide has been constructed in the shade of some magnificent Murray River Gums. We arrived back at the Banrock Wine and Wetland Centre about 10:30 am and the temperature was already in the 30s so it was decided to close the walk for the day. Nobody seemed to mind as the centre is a great spot to sit, relax, enjoy the view and taste some great wines. Bankrock station has a lovely restaurant and café plus wine tasting bar overlooking the wetlands and vineyards. There staff were friendly, informative and more than happy to help with selections. We enjoyed coffee, scones, jam (quandong) and cream before purchasing some Sparkling Shiraz, white wines and other local produce to take home. The opening hours are - Cellar door and walks 9 am - 4 pm Monday to Friday and 9 am - 5 pm weekends. Restaurant open 9 am - 3 pm Monday to Friday, and 9 am - 5 pm weekends. (closed Christmas Day, Boxing Day and New Years Day) I understand they open late on Friday during daylight saving. RvTrips highly recommends Banrock Wine and Wetland Centre as a great place to visit - the breakfast looked fantastic. have you been to Banrock Station? Explore Banrock Station - Kingston On Murray with RvTrips and find out where to stay, what to do and what to see. Helping caravan, motorhome and camper owners have a great holiday.